Ercomer | "There is simply no connection between integration and religion." 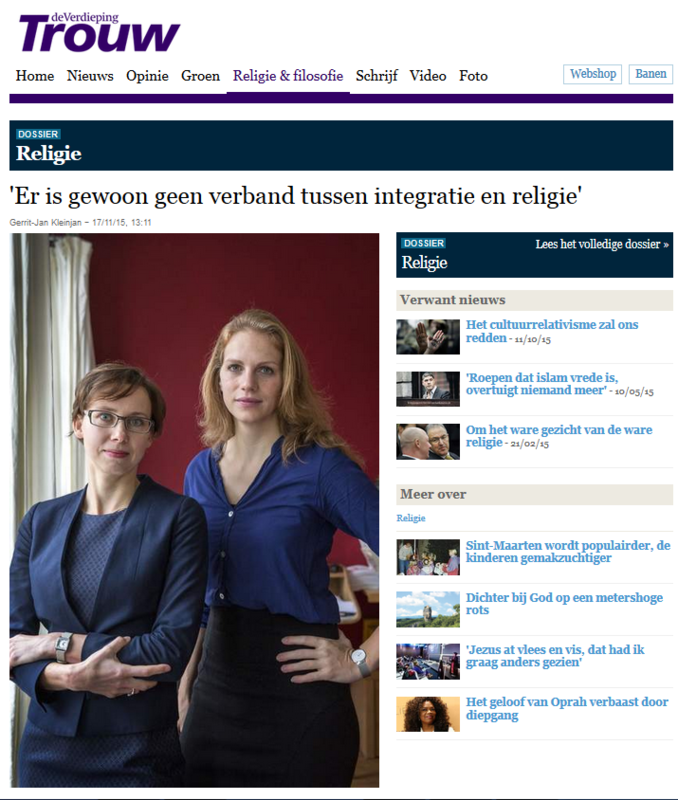 News article in Dutch newspaper Trouw on research by Ercomer members Fennela Fleischmann and Mieke Maliepaard. Following the symposium organised by Trouw and Ercomer, an article about the theme was published in Dutch national newspaper Trouw.